Chelsea Manning has been taken into custody for refusing to testify at a grand jury hearing on her knowledge of Julian Assange and Wikileaks. There is a sudden interest in Mr. Assange who was given asylum in the Ecuadorian embassy 7 years ago and is essentially imprisoned in it as he will be arrested by Britain and transported to the United States if he leaves the embassy. Millions have already been spent guarding the embassy in hopes of catching Assange escaping. The Australian government, which is Mr. Assange’s home, was in the process of issuing Assange a passport. Undoubtedly, this is the reason for renewed activity here in the states. A crime will have to be provided in order to have him extradited to the States hence a secret grand jury hearing. Assange published a series of exposes on Wikileaks detailing the wanton killings of innocent people in Iraq and secret American documents. His life has been a living hell since. Presently, pressure is being brought to bear on Ecuador and Assange’s privileges have been severely curtailed in the embassy. He is not allowed any contact with the outside world, in essence a prisoner. I’m afraid that the only solution for him is to surrender to the American government and try to seek justice. He is after all a journalist. Chelsea provided much of the Information published by Wikileaks on Iraqi war crimes and secret documents. As an Army soldier with security clearance at the time the material was easily available to her. She wanted to cast a light on the horrors being committed. For revealing this information she was charged with espionage and was sentenced to 35 years in federal prison where she was psychologically tortured, but the sentence was commuted by Barack Obama, not pardoned, and she was freed after serving 5 years. I will not comply with this, or any other grand jury. Imprisoning me for my refusal to answer questions only subjects me to additional punishment for my repeatedly-stated ethical objections to the grand jury system. The grand jury’s questions pertained to disclosures from nine years ago, and took place six years after an in-depth computer forensic case, in which I testified for almost a full day about these events. I stand by my previous public testimony. I will not participate in a secret process that I morally object to, particularly one that has been historically used to entrap and persecute activists for protected political speech. A former CIA employee and then contractor for the government leaked thousands upon thousands of classified documents exposing the ensnaring trap of worldwide surveillance government aided by cooperating tech and telecommunication corporations were and are engaged in. Really scary. It is possible to know everything of a person’s life, even more than the person knows about itself. 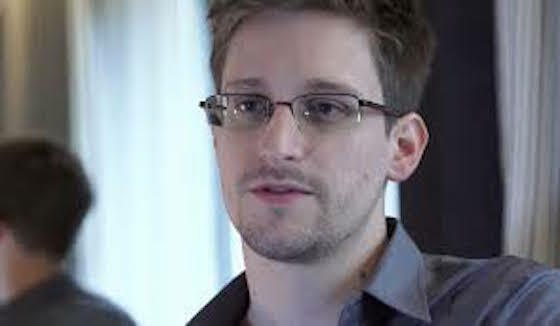 Once Snowden’s leak was discovered a mad chase unfolded to apprehend him in which he got trapped between flights at Moscow’s Sheremetyevo Airport. His passport was revoked and he’s been trapped in Russia ever since. I agree with @DanielEllsberg, and admire @xychelsea’s courage. Compelling sources to testify against the journalists with whom they’ve worked threatens the independent function of the free press in an open democracy. She must be released. On Manafort’s sentence he states: 47 months for a lifelong carnival of criminality. And General Petraeus who exposed many top secret documents to his biographer: 0 days for trading the government’s highest secrets for a more favorable biography. Manning: 35 YEARS for revealing evidence of actual war crimes to the press. Your sentence derives from your proximity to power. I would add to Snowden’s list that of Hillary Clinton who on her private server released untold numbers of documents to the world and to the country’s enemies, 0 days. Ilhan created a firestorm in DC when in an interview with Glenn Greenwald of the Intercept in a response to the question why Israel had such clout in US government, she replied, “It’s all about the Benjamins, baby.” (i.e., $100 bills) You would have thought she had saluted Hitler from the uproar that ensued. Antisemite! They all shouted. In actuality, she wasn’t castigating the Jews, but her fellow politicians who accept untold monies from Israel. Sheldon Adelson alone, contributes $100,000,000 to influence politics in Washington. Now think of AIPAC, the AJC, the Anti-Defamation League, the NCJW, Simon Wiesenthal Center, Zionism in the US. “Tell me who you cannot criticize and I will tell you who is your master,” said Voltaire. Ilhan backtracked and apologized. And then, oh my gosh, she attacked the grand poobah of the Democratic party. She accused Barack Obama of being just like Trump but with more finesse as opposed the crude one. Obama was a smiling murderer. He is the one who kept undocumented kids in cages, his drones were responsible for untold deaths of innocent civilians. “He was a pretty face that got away with murder,” she said, And his “Hope and Change” rhetoric was just that, rhetoric. It is so refreshing to hear the obvious truth being acknowledged. Obama is surely one of the worst presidents. He sold out the people to Wall St. Millions were bankrupted, lost their homes. In a concerted movement he, in one night, ordered the end to the Occupy Wall Street movement that was not only metastasizing throughout the country but was spreading to Europe. The man kept looking us straight in the eye stating everything was fine; the economy was doing great. America responded by electing Trump. He at least was a businessman. Ilhan of course backtracked, said she was Obama’s fan. She will have to learn, and undoubtedly has figured it out already, in a tank full of sharks you have to be prepared to defend everything you say . . . with facts, evidence, documents, etc. The sharks are only interested in the perks, let’s keep the party rolling we’re all having a good time and getting filthy rich. Let’s not make waves, and it can’t be changed. That’s how it’s done! Do you get the feeling sometime that your government is hiding something from you?